Planned by architect Samuel Newsom, who designed many Victorian style homes throughout California, the Horticultural and Agricultural Building was constructed in a California Mission - Romanesque style. 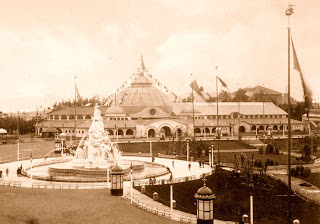 Standing on the North side of the Midwinter Fair's Court of Honor, the 400 foot-long cream colored building featured arches, red ribbed-metal roofs and an immense dome of glass & steel, 100 feet in diameter and 96 feet high. The Romanesque style main entrance featured three broad arches, leading into a wide vestibule, flanked on either side by small pavilion-topped towers. The interior of the building contained a multitude of horticultural and agricultural exhibits from California and many other States & counties. During a special sugaring-off exhibit, for the State of Vermont, snow was brought down from the Sierra Nevada mountains and spread among the aisles of the building. By night, the building was outlined with electric bulbs, and the dome glowed like a giant soap-bubble. 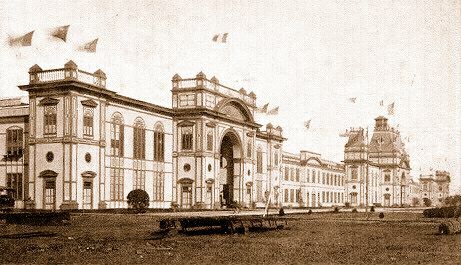 At the close of the fair, the Horticultural and Agricultural Building was demolished, and the deYoung Museum now occupies the site where the structure once stood.